The Dala Complete Tie Dye Kit is complete with everything you need to create unique and colourful tie dye pieces - just add water! Spiral / Traditional; Scrunch; Stripes/Folds and Rings/Circles. Dyes up to 10 full colour items! 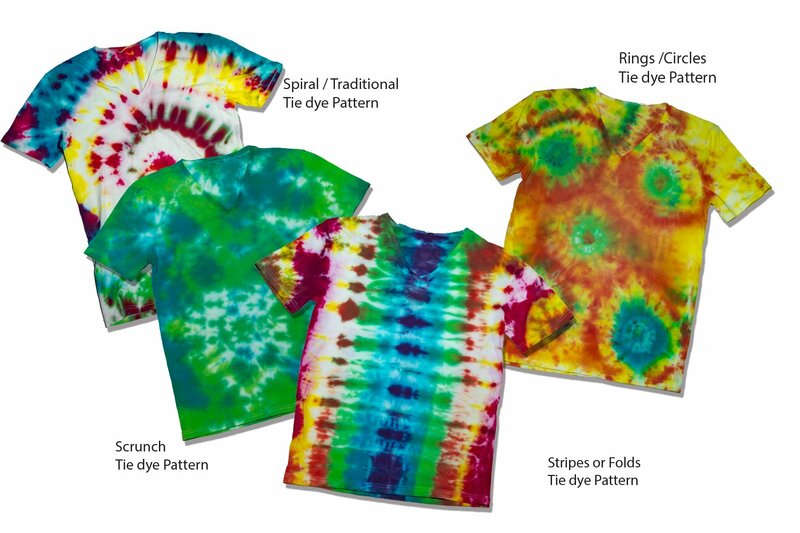 The Dala Complete DIY Tie Dye Kit comes with a full instruction sheet that teaches you 4 different Tie Dye Techniques. Work on a protected surface. Simply soak your intended garments in a soda ash solution to prepare the fabric for the permeation of the dye, and wring out. Add water to the dye bottles, following the instructions on the bottle labels. Then add the dye to the garments - the more dye used the less white will come through in the design. Dye can be further diluted to extend the colour and produce more garments. Leave for 24 hours in a plastic wrap and rinse in vinegar thereafter. Dyed items should never be washed with daily laundry - wash separately. This item has 9711 views.